The grisly discovery was overshadowed in the public imagination by Derby Day, the most prestigious event in the English horse-racing calendar. But Peep o’ Day, the popular favourite for the Derby and owned by the murdered man, won’t run now. Under Derby rules, the death means automatic disqualification. Did someone find an ingenious if ruthless way to stop the horse from competing? Or does the solution to the demise of Sir John Burslem lie away from the racetrack? The thoughtful Inspector Stoddart starts to investigate in a crowded field of sinister suspects and puzzling diversions. 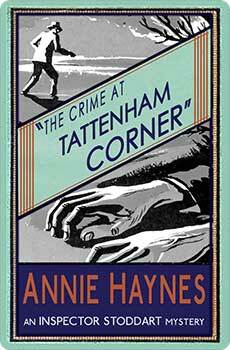 The Crime at Tattenham Corner was the second of the four Inspector Stoddart mysteries, first published in 1928. This new edition features an introduction by crime fiction historian Curtis Evans.